And to be honest, Comet had this problem “initially” as well. The weak spring was almost always a problem with the larger antennas so Comet engineers went to work and re-designed the fold-over. Our larger antennas now have a threaded collar around the hinge: Loosen the collar, lift it up, and the hinge is exposed. No more problem. **WARNING**Many antenna companies have now copied the Comet locking fold-over design, but many have not. If you are tired of your antenna folding over by itself at highway speeds, choose an authentic Comet brand antenna. Very short yet efficient antenna, mainly used in metropolitan areas where extended range is not critical. 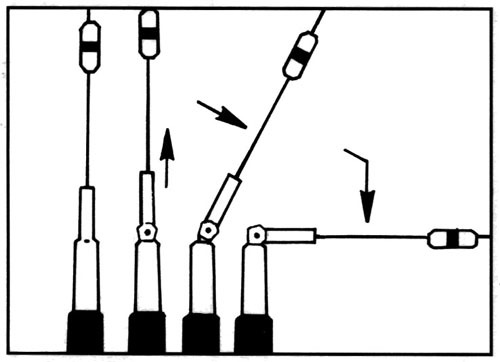 Particularly used in a city or area where the repeater sites are generally higher than the mobile station due to the pattern having an uptilt. 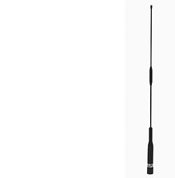 The CA-2x4SR is a broad-band antenna designed for those needing voice communications on the ham radio, public service, land mobile, and FRS frequency ranges. 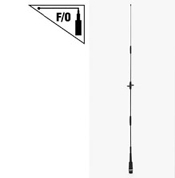 When the amateur radio community is working together with local search and rescue and other public service agencies, the CA-2x4SR antenna allows TX and RX capability in both bands! The coverage area and gain provided by the CA-2x4SR is remarkable. 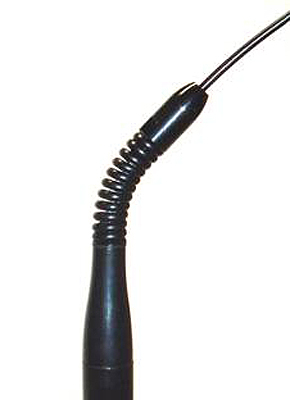 Whether used on VHF or UHF or both, it is an asset to the communications needs of amateurs and land mobile users simultaneously. 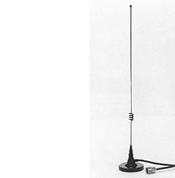 This is the famous HEAVY-DUTY dualband antenna named after the equally famous Ray Davis, KD6FHN. As one of the founding members of the Motorcycling Amateur Radio Club (MARC), Ray and his group were installing and breaking mobile antennas much too often. The short wheel-base and high tire pressure of the Goldwings they ride transferred the road energy to the antenna, and they broke far too often About 25 years ago Ray rode in on his white Goldwing (Casper) one day and asked for help. Long story short, the HP-32FHN proved to be structurally strong enough to withstand the beating, and a friendship between the charity driven MARC group and COMET antenna was born. If you run into Ray, ask him about the time he was attempting to ride “Route 66” from beginning to end. Some of Route 66 is dirt road, his Goldwing’s tires were caught in a rut in the road and he went down…HARD! His Goldwing was a total loss, but the HP-32HPN antenna was undamaged. Ray is a former Fire Captain, you can also want to ask him about the time his fire station caught fire…but he may want to change the subject pretty quickly! 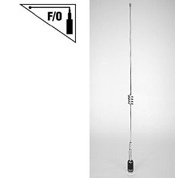 2M/440MHz DualBand antenna on a small magnet, 12 ft of coax included terminating in the most common connectors. The whip section is enclosed in a dense but flexible rubber coating. 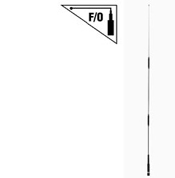 Typically this antenna is the choice when it will be mounted on top of a truck, van, or other high profile vehicle. The height of the mounting location improves the antennas range, but also makes it susceptible to damage from low clearance obstructions. 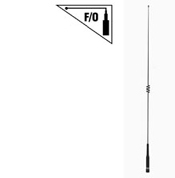 If you don’t need a lot of range, but you do need an antenna that is convenient, this is a great choice. Great gain, great coverage, black color makes it blend into the environment. SS-460 and SS-680 spring base antennas. 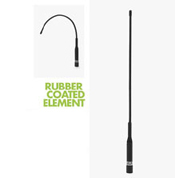 Dualband 2M/440MHz mobile antenna with a spring base to absorb brushes with tree limbs, flying debris, garage doors, etc… No antenna is indestructible, but the spring will help keep the antenna from breaking in most cases. 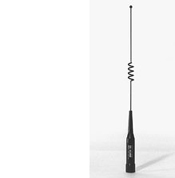 Specially designed dualband 2M/440MHz mobile antennas with a spring base to absorb brushes with tree limbs, flying debris, garage doors, etc… No antenna is indestructible, but the spring will help keep the antenna from breaking in most cases.